I have an appointment with a doctor today, because the numbness has not abated. Oh, it did go away somewhat, and very quickly after last Tuesday’s “episode”. The left- side numbness came on swiftly, but after only a couple of hours, was noticeably “better”, leaving generalized (left side only) tingling and a feeling like Novocain was leaving my flesh. I have the sensation of coolness, even while sitting in the hot tub: my right side was cooking comfortably at 105 ˚, other side feeling almost chilly. This is about the weirdest situation I’ve experienced with my health. I’m glad that Gary and Shelly and friends have nudged me to report back to the doc. He was booked up today, so by accident, I’ll be getting a second opinion. I just want to hex this all away. It is preying on my mind, and I apologize about gabbing in my blog about it. It would be easy not to share, but it helps to focus my thoughts. Heaven help me if I need to function with fewer brain cells. I have a dull headache, and that too is spooking me. Today is so blustery that Gary’s farrier work is cancelled. He volunteered to accompany me downtown for my appointment. We have a handful of sweet furry guests at the Pet Hostel. 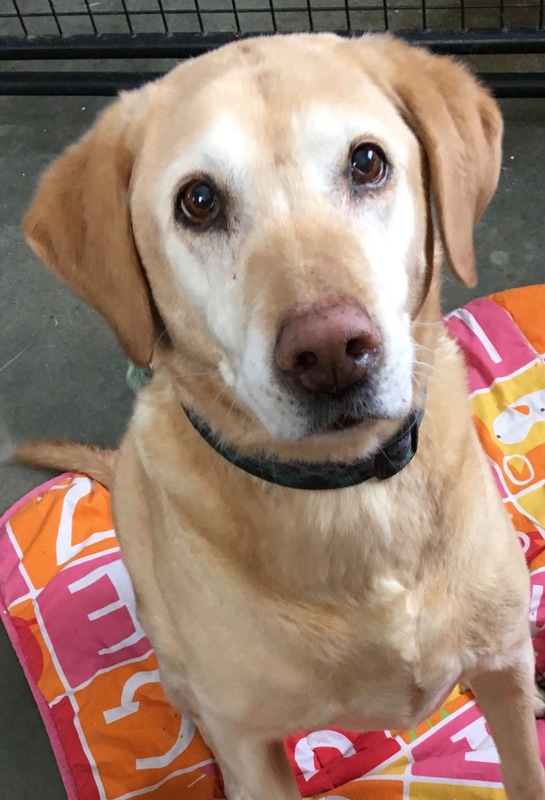 Cedar, a pleasant, elderly yellow lab has enjoyed a longish stay in our largest indoor-outdoor kennel. Tilly, a young samoyed, is as joyful and sweet as any dog. She’s new around here and she has adapted very well, this being her first “real” kennel experience. 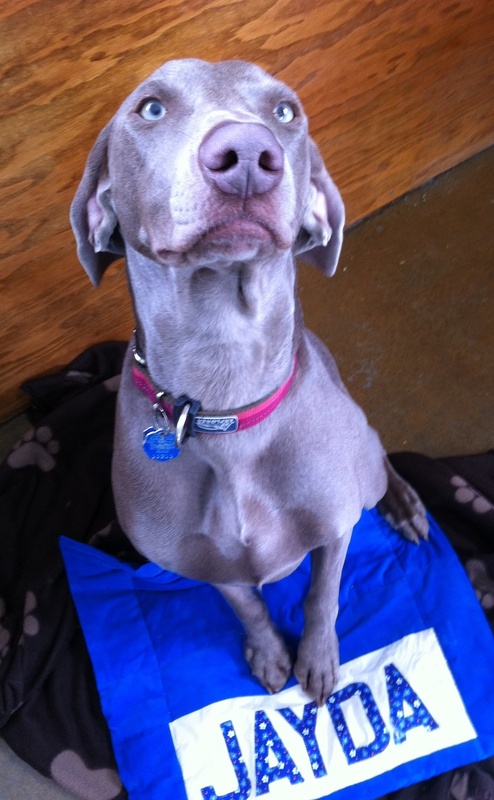 Jayda is back for a few days; she’s a young adult Weimaraner, pleasant, quiet and respectful. I clipped Bella’s nails this morning, and she continues to be patient with the process. 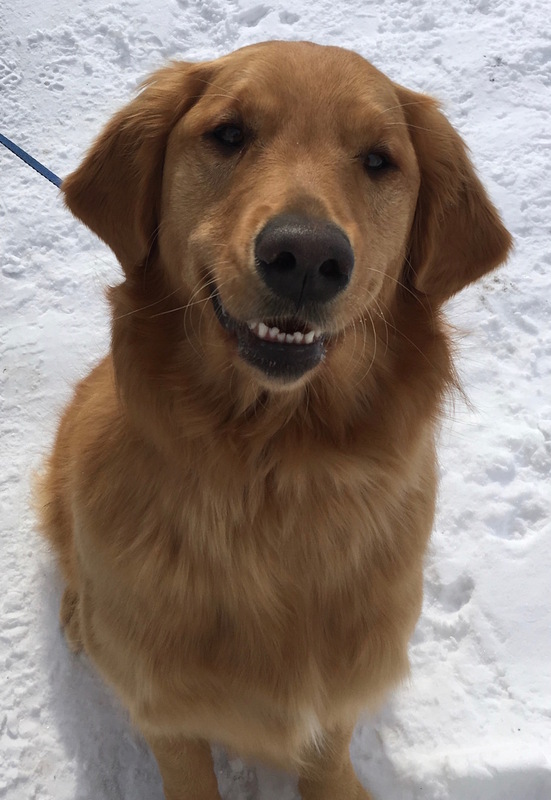 She’s a good girl too, and I always like visiting with her owners. Today I felt self-absorbed and distracted. I hope there ARE answers for me, or this “thing” with the mysterious symptoms vanishes as quickly as it came on. We have a pretty healthy lifestyle, with little stress and work we enjoy. Doctor Alwan’s advice was to reduce salt, caffeine and calories, and I have done quite well with that. I know dozens of people who had a “wake up call” at the age I am … but all along, I thought I had been living well and healthfully. But, I know I can do much better in the exercise department. All this is also incentive to get my weight down. Let’s see what doctor #2 says. Tags: Bella, Cedar, Jayda, Tilly. Bookmark the permalink. I can’t help but be concerned about you and will be waiting for whatever you feel comfortable sharing. HUGS! Ann, I am so glad you are having this investigated much further. Like Shay, I was very startled and worried when read your first blog about this the other day. I wanted to tell you to get more opinions and insist on a full Cardiology work-up, but I held my tongue. After all, you have an RN for a daughter and a wonderful, attentive husband. Just so darned worried about you!